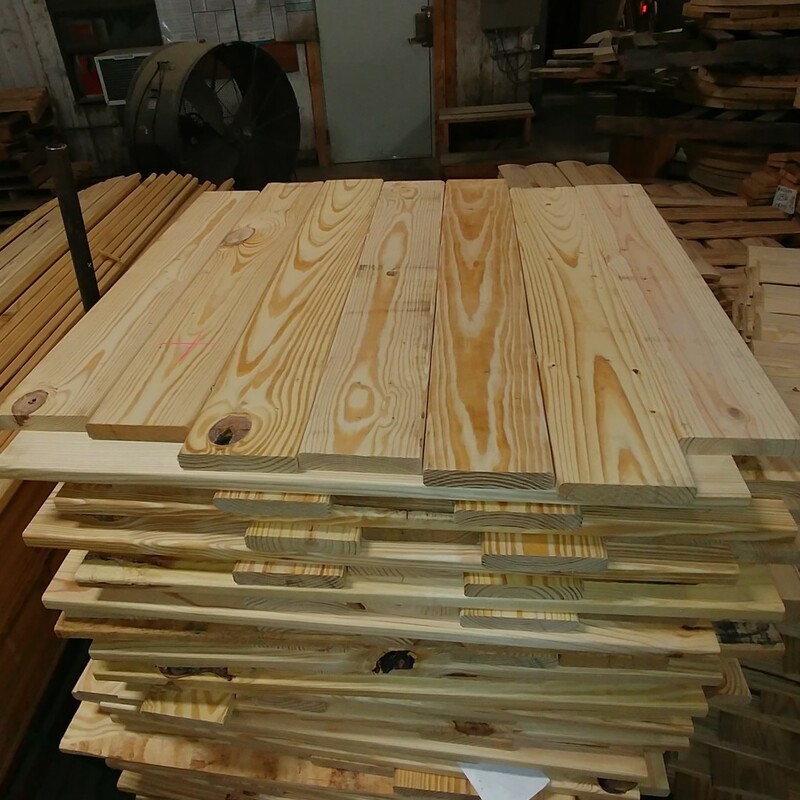 How It Works: Wood Reel Production | Anderson Forest Products, Inc.
Wood reels are sturdy, durable products frequently used for transporting and storing wire, cable, and rope. 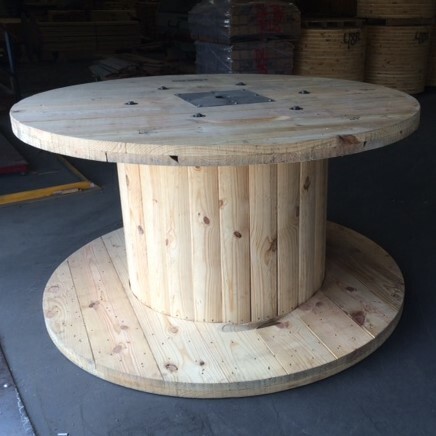 They can be customized to many different traverse lengths and flange diameters depending on the product they will be used to transport. 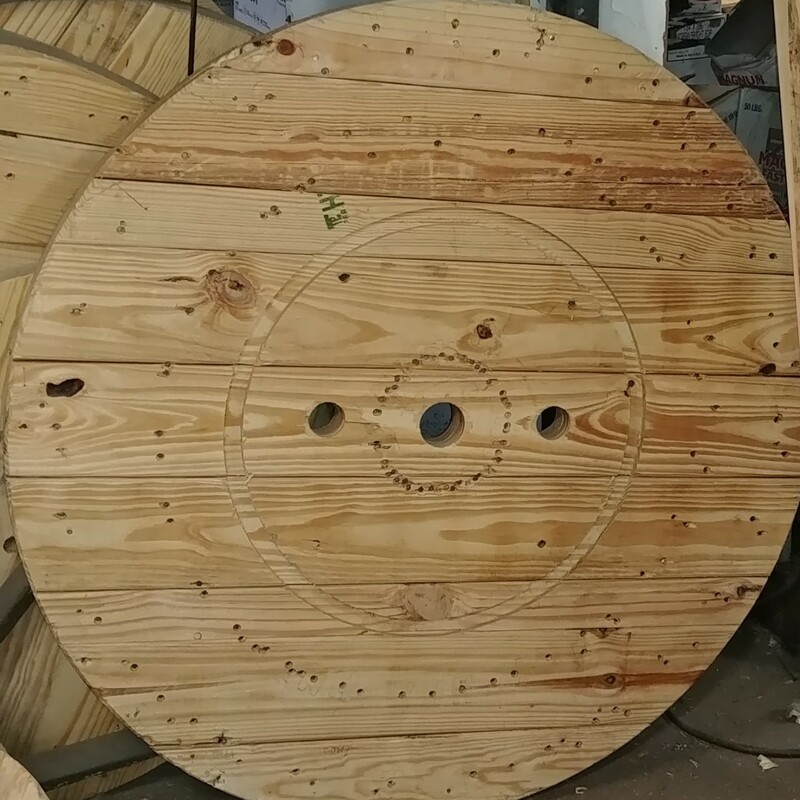 Continue reading to learn about how wood reels are made. First, the flanges are created. These are the circular pieces on either end of the core. To create a flange, two layers of lumber are nailed perpendicular to each other, forming one solid piece. This piece is called a square flange. The square flange goes through a bandsaw that cuts off the edges to make a circle. The round flange is then buffed along the freshly-cut edges to ensure a smooth surface. Second, the flanges are customized according to the customer’s needs. Common customizations include the sizes of the start hole and arbor hole, the number of bolt holes, and the angles of various holes. We can also print the customer’s logo and/or product number on the flanges for easy identification. Third, lumber is molded to create the staves for the reel’s core. 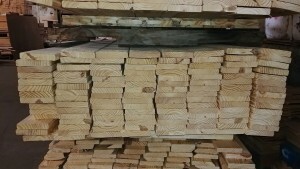 The core, also called the drum, must form a circle, so straight-edged pieces of lumber have to be rounded before they can be used in this process. 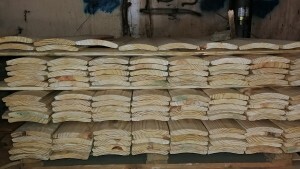 Regular pieces of lumber are put through a machine that shaves off the edges and produces a curved board, called a stave, that will be used in the reel’s drum. Finally, the flanges and staves are bolted together. At the end of this process, we have a finished reel ready for loading onto a truck and shipment to the customer. Instead of sending a finished reel, we can ship the flanges and staves before they are assembled. Some customers prefer this “knocked-down” option because they have their own assembly capabilities, and it allows more reels to fit into one truckload.